One of the most important steps in a Florida probate administration is the production and filing of the decedent’s (the person who died) original will with the clerk of court. Under Florida law, the custodian, who may or may not be the named personal representative, of the decedent’s will is responsible for filing the original copy with the clerk of court. This requirement can present problems for relatives after a loved one passes away. Sometimes people don’t tell their loved ones where their estate planning documents are located or sometimes the decedent will have his or her will in the decedent’s safe deposit box. The production of the original copy of the decedent’s will is one of the first steps to an efficient, timely probate administration. When should the will be deposited with the court? Under section 732.901(1), Florida Statutes, the custodian of the will must deposit the original of the will with the clerk of court for the county in which the decedent resides within 10 days of receiving the information that the decedent has passed away. Furthermore, under section 732.901(2), Florida Statutes, “Upon petition and notice, the custodian of any will may be compelled to produce and deposit the will.” This means that if the interested person who is filing the Florida probate administration does not possess the original copy of the will, he or she can petition the probate court to order the person who does possess the original will to deposit it with the the Florida probate court. Of course, this section only works if the interested person knows the person who is the custodian of the will. Interesting fact: if a person who is the custodian of a will refuses to produce it to the probate court, he or she is committing a third degree felony under section 812.014(1)(c)(4), Florida Statutes. Florida law is written to protect the beneficiaries of a will. 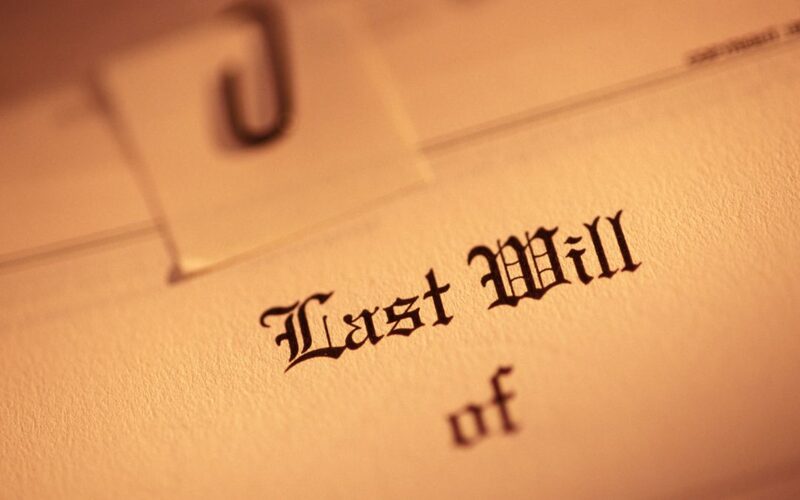 Therefore, a person who refuses to produce a will can face severe consequences for refusing to produce it. The law hates waste, and no one wants property becoming dilapidated or destroyed because someone’s holding a will hostage. What proof is needed to admit a will to Florida probate? Proof of a will in Florida is governed by section 733.201, Florida Statutes. Under section 733.201(1), a will that is self-proving can be admitted into probate in Florida without further proof. A self proving will is a Florida will that has the required language and affidavit set out in section 732.503, Florida Statutes included in the will document. If the will is a valid self proving will, no further proof is required to prove the will and get it admitted into the probate case. We provide all of our clients self proving wills with every estate plan, the $39.99 will you buy at the office supply store or online may or may not have the language needed to satisfy the Florida Statutes. If the will is not a self proving will, then proof of the will needs to be provided to the Florida probate court. Under section 733.201(2), Florida Statutes, the oath of a witness to the will that is sought to be admitted into probate is required in order to prove a will that is not a self proving will. This means that the person opening the Florida probate case will need to find one of the two people who witnessed the execution of the will and get that witness to swear to the authenticity of the will in order for the will to be admitted into probate. Contact us today to scheduled a free consultation if you have a probate problem. If you need to admit to probate a will for a loved one or just administer a loved one’s estate in Florida, contact us today to schedule a free consultation. During our consultation, one of our attorneys will review the facts of your probate issue, be able to give you an overview of the probate process, and will be able to give you an estimate of the cost for the administration.